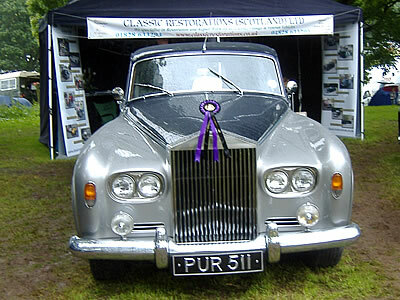 Classic Car Restoration - About - Classic Restorations (Scotland) Ltd. 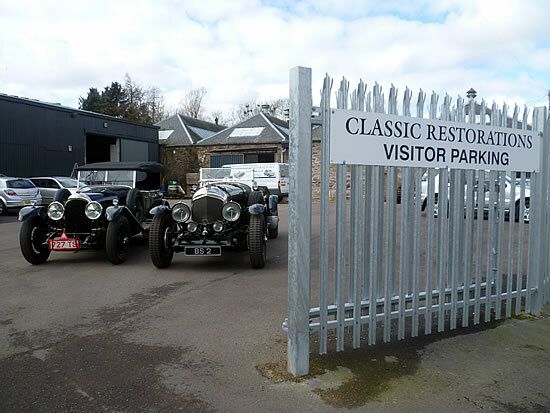 Founded by Charles Palmer in 1985, Classic Restorations (Scotland) Ltd. has long been at the very forefront of vehicle service and restoration. 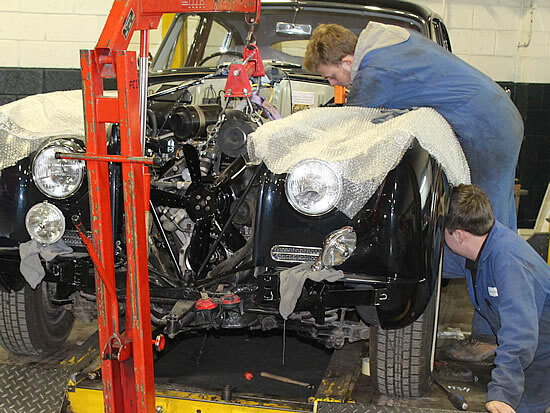 Indeed, the vehicles that were in every day use at the time are the classic cars of today and Charles who began as an engineering apprentice 60 years ago still enjoys getting under the hood for a 'bit of mechanicing' as he puts it. Now approaching retirement, he has with the help of Scottish Enterprise guaranteed the future of the company by instigating a Employee Benefit Trust. So it will be the employees of Classic Restorations Scotland Ltd. who will own the company and continue the traditions we value so much. 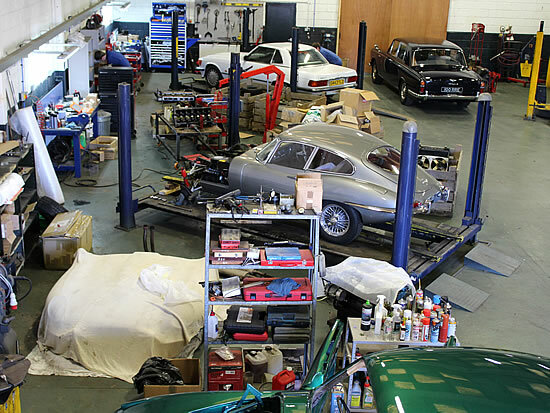 Over the years the full range of vehicles that we have been serviced and restored has been vast. 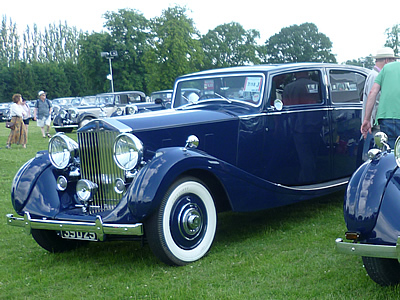 From Austin Sevens and Ford Eights to the most elegant of Rolls-Royces, Bentleys and more. 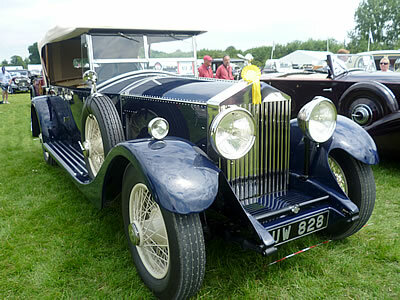 It is our wealth of knowledge and experience of so many different cars that sets us apart. 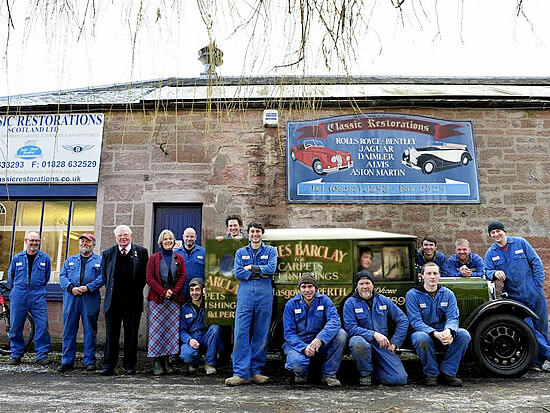 With expertise running throughout our staff and continued investment in our apprentice training scheme - an invaluable part of ensuring the next generation of mechanics is just as capable, when you bring your car to Classic Restorations (Scotland) Ltd. you'll be doing so to one of the of the most highly skilled and knowledgeable group of craftsmen in the UK. 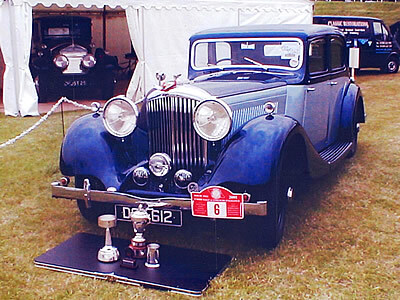 For over 30 years Classic Restorations have won awards for our complete vehicle restorations. 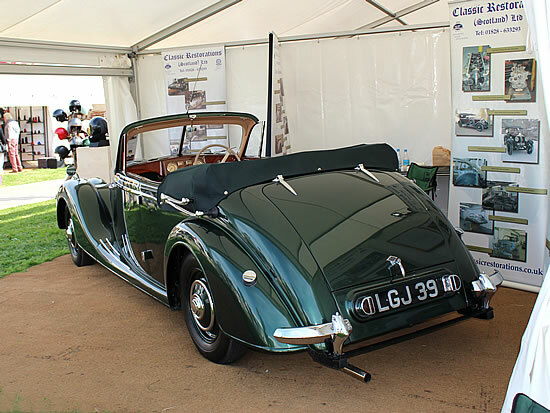 Classic Restorations are allied to The Cognoscenti, an organisation of individuals devoted to classic cars and one that promotes the very best of Scotland, whether venues, accomodation or countryside. But it is love of elegant sports cars and of the most significant historic vehicles, especially their preservation, that fuels their activity. Which is why in 2013 they asked us to be an official partner and why they accompanied the then Secretary of State for Scotland - Mr Michael Moore to our workshop to show him our own dedication to that cause. You can watch his visit in the accompanying video. 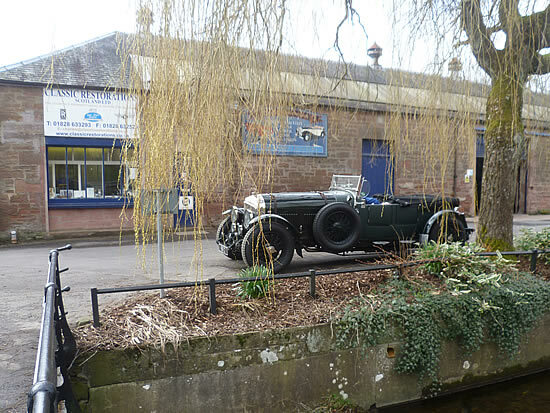 "A Petrol Head's Day Out"
Steeped in history, Alyth's origin dates back as far as the 11th century with some claiming the town is even older. You can still see the remains of a hill fort where local legend has it that Pictish King Mordred imprisoned Queen Guinevere. The famous Packhorse Bridge, built in the 1500's, is just outside the Classic Restoration premises and exploring further you'll find delightful walks and buildings such as Alyth Church, a fantastic example of gothic architecture. And if you enjoy Golf you can really enjoy a visit. For a nomimal green fee there are 3 excellent local courses to play and we will even provide free transport there and back as we work on your car.